Okay boo so you’re engaged and super excited to start planning your wedding #finally! You hire a wedding photographer and they start throwing around words like engagement photos or engagement session and while your planning for one of the biggest day of your life you never stopped to think about if you would like to take engagement photos let alone where. So if you’re looking for a little bit of inspiration I’ve got you boo! I know that you could be all over Pinterest right now looking up engagement photos ideas but you’re here with me and I am so damn thankful that you are! So lets get to it shall we? Now please keep in mind that I am a huggeeeee fan of my couples do their engagement sessions in locations that are important to them! So as you brainstorm ideas please keep in mind of things you like to do together, where you spend your free time or your favorite date night activity. 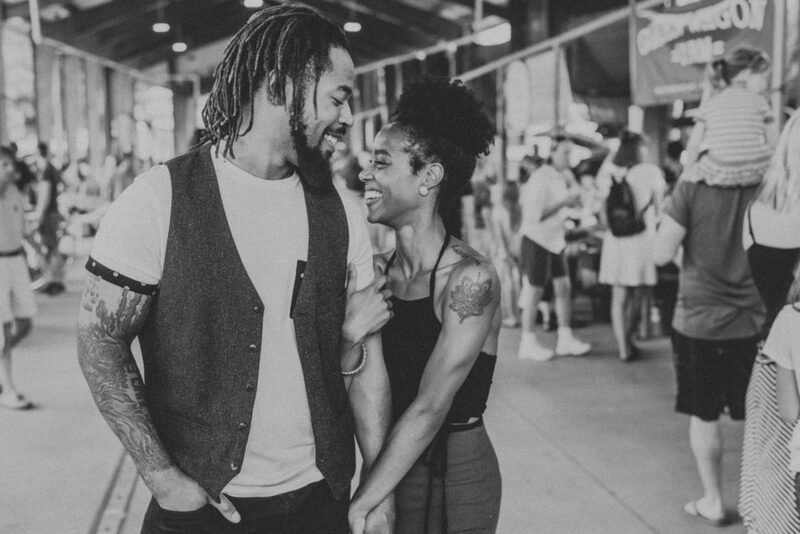 If you and your boo love taking summer trips to the local farmers market then why not do your engagement session there while you pick up for fresh food for the week? Talk about knocking out two things at once. Okay in all seriousness if this is your element, your Saturday morning routine then by all means take your engagement photos at your local farmers market. Are you coffee lovers? 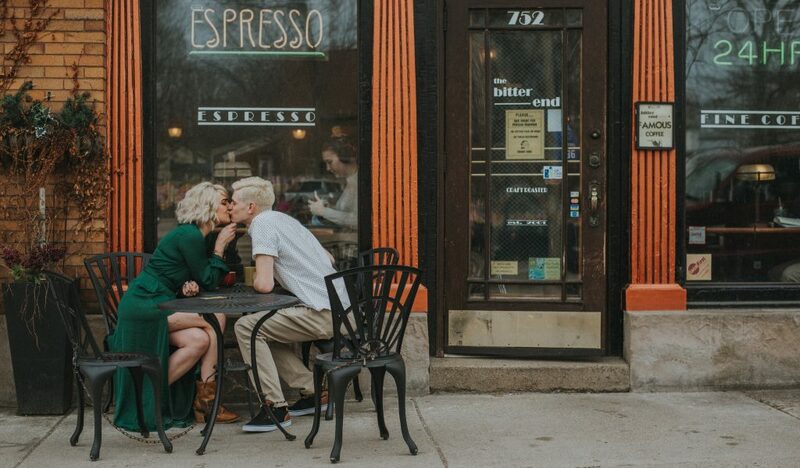 Then what could be more than getting coffee with your love while taking your engagement photos? 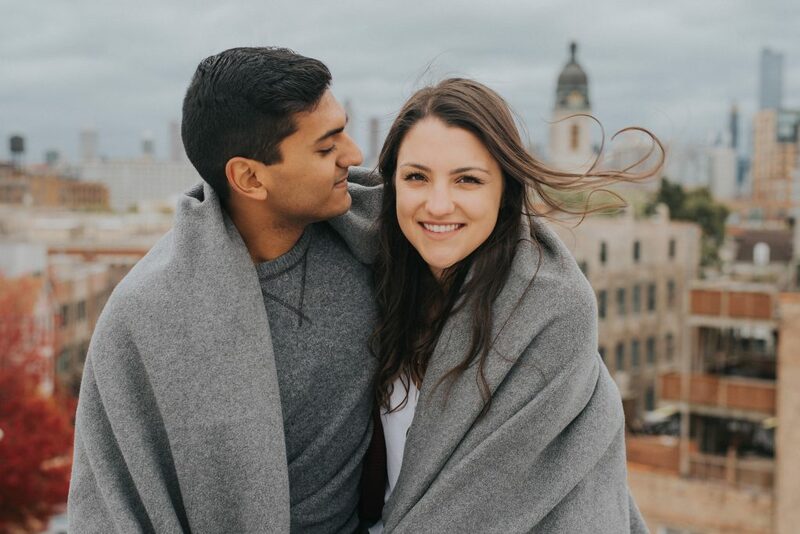 This adorable couple decided to have their engagement photos taken on the rooftop in Chicago where he proposed. Y’all talk about being super romantic even on a rainy day in the windy city! 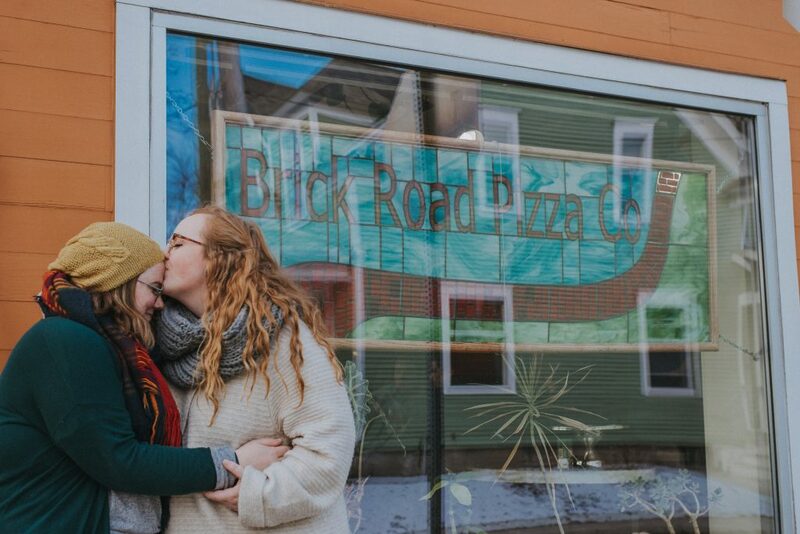 We ended Carolyn and Nikki’s engagement session at their all time resturant in Grand Rapids Brick Road Pizza. 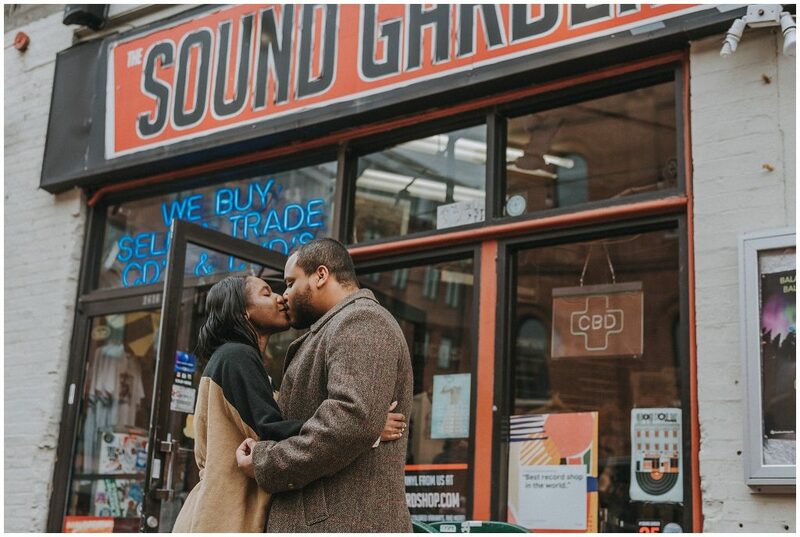 Tamarra and Aubrey decided to have their engagement photos taken at their favorite place in Baltimore Maryland.. The Sound Garden. They spend most of their time here and have had some of their best memories here so I loved that they decided to have their engagement pictures taken here. There you have a few alternive locations to consirder when haveing your engagement photos taken! Don’t get me wrong I love doing city photos and photos at parks but there is nothing I love more then when couples customize every aspect of their wedding and engagement process! If you’re intrested in a engaggement session or wedding day coverage please feel free to fill out the form and we can talk all about your engagement session.